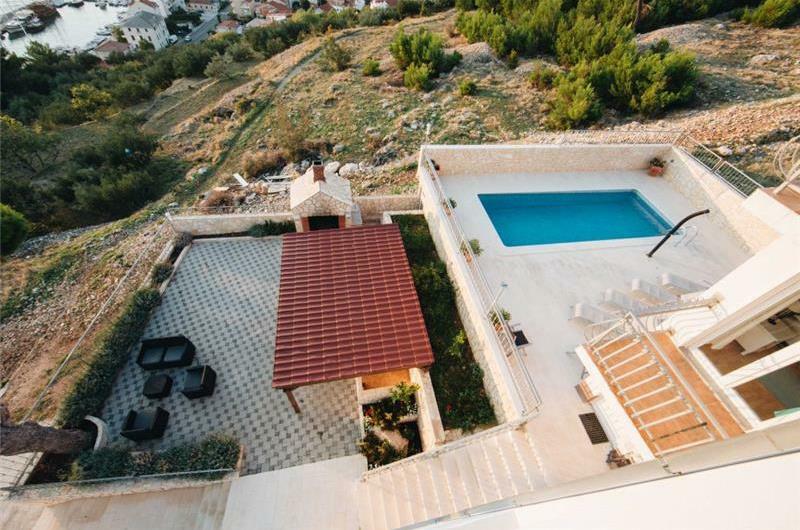 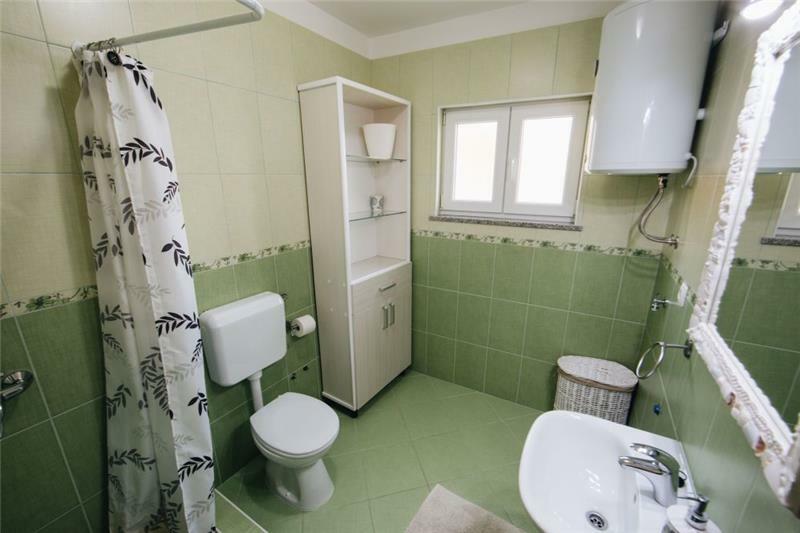 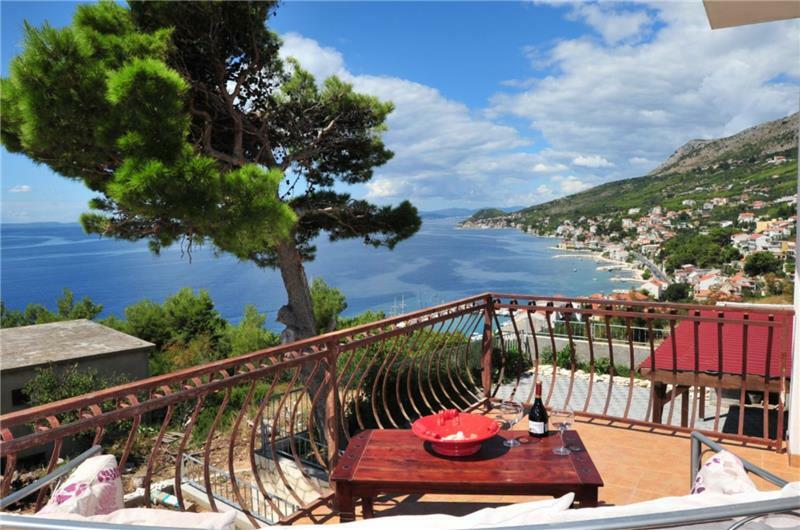 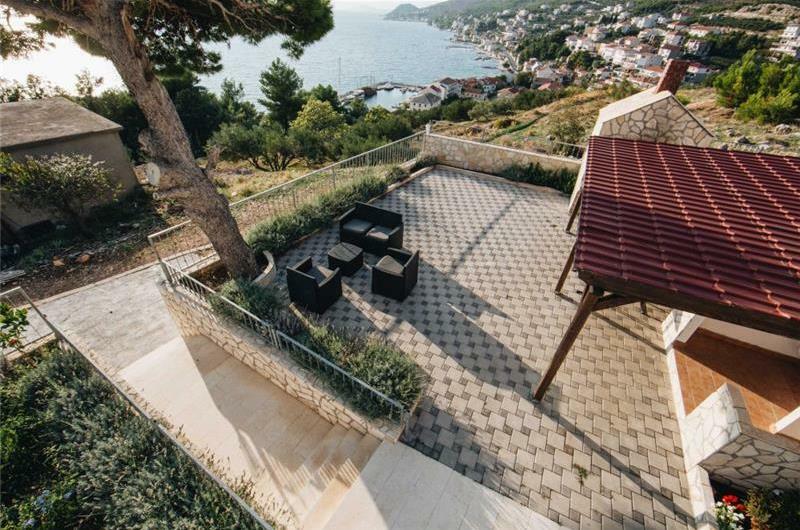 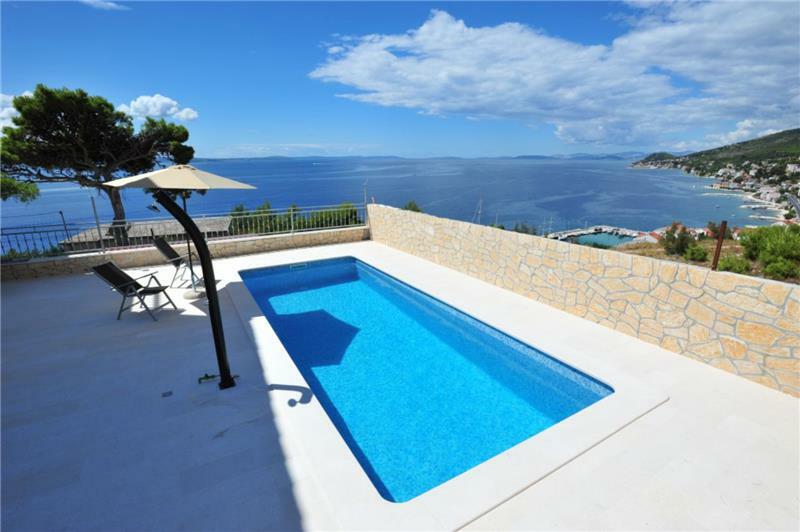 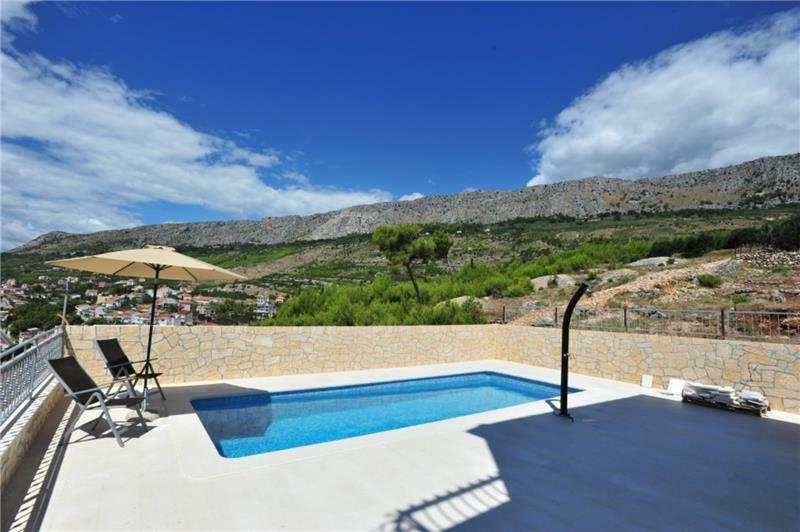 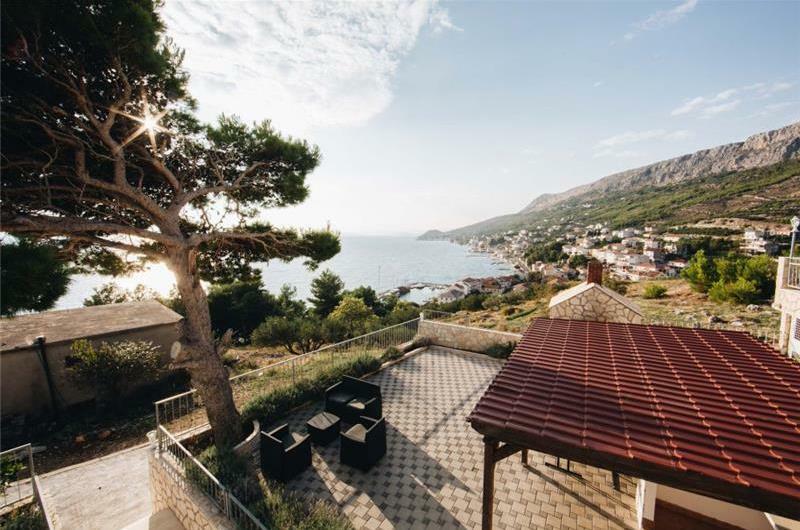 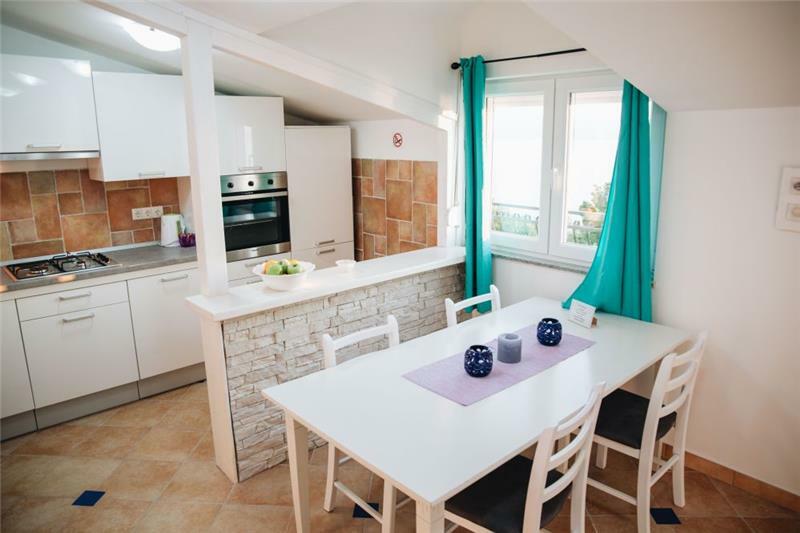 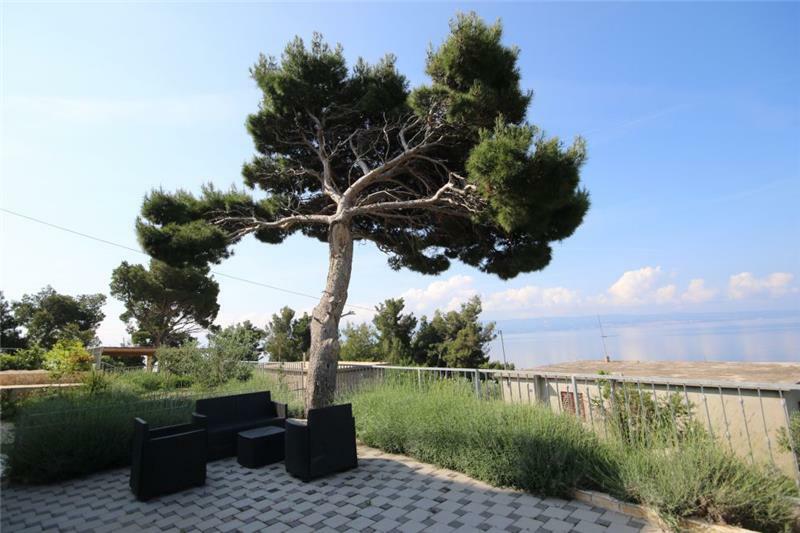 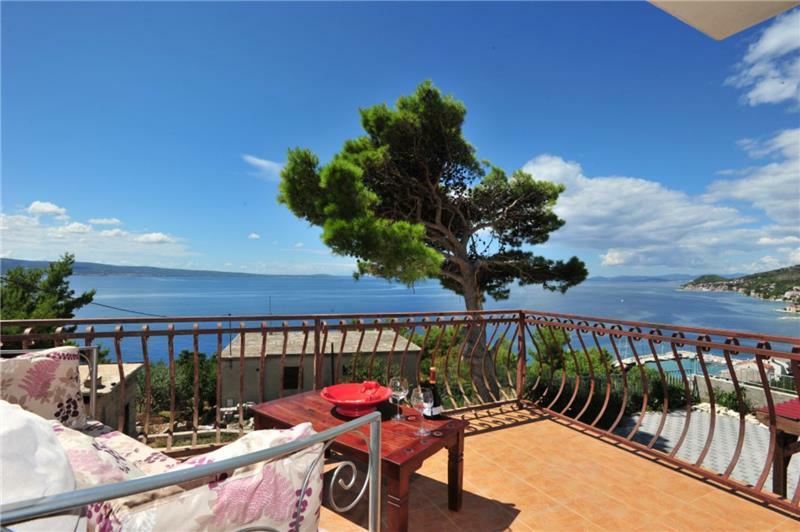 This pretty villa with private pool is located in an enviable position along the Omis Riviera. 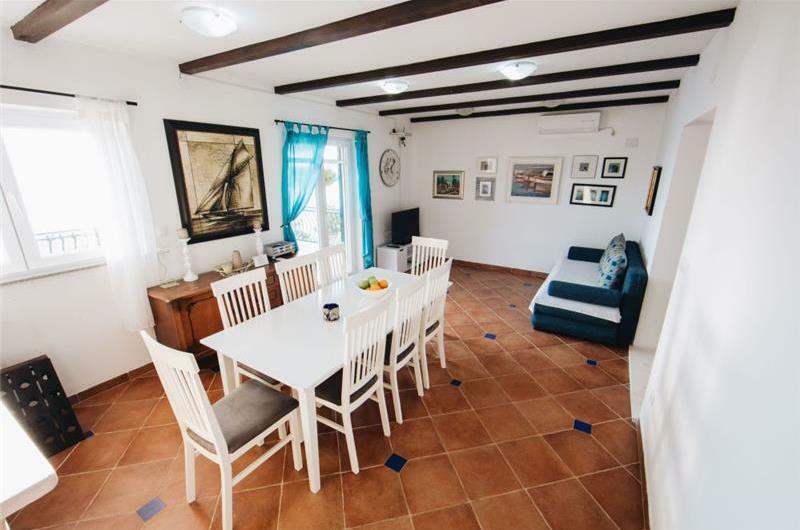 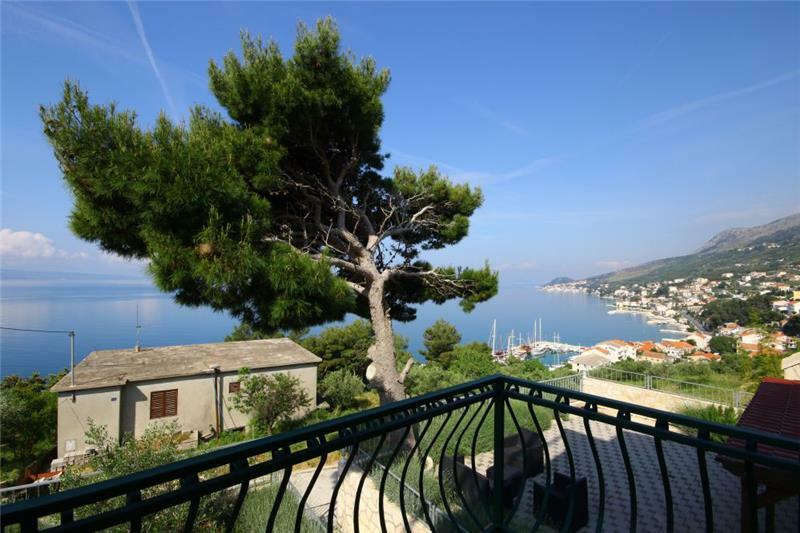 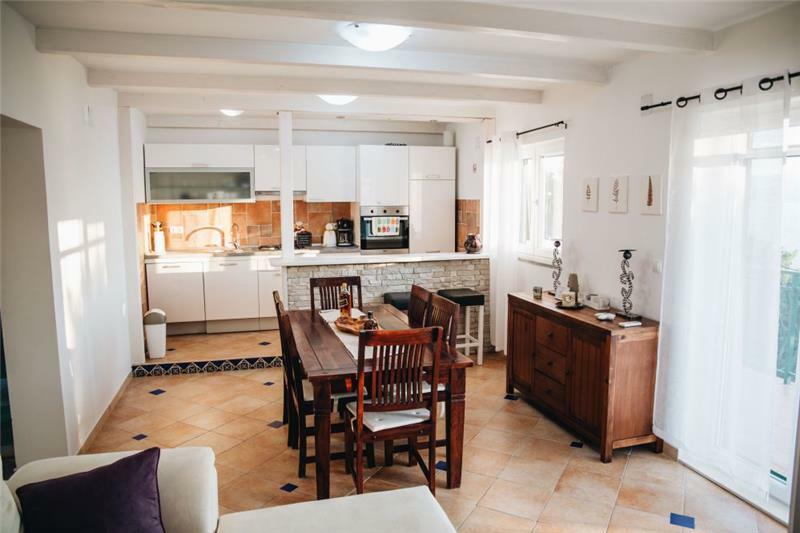 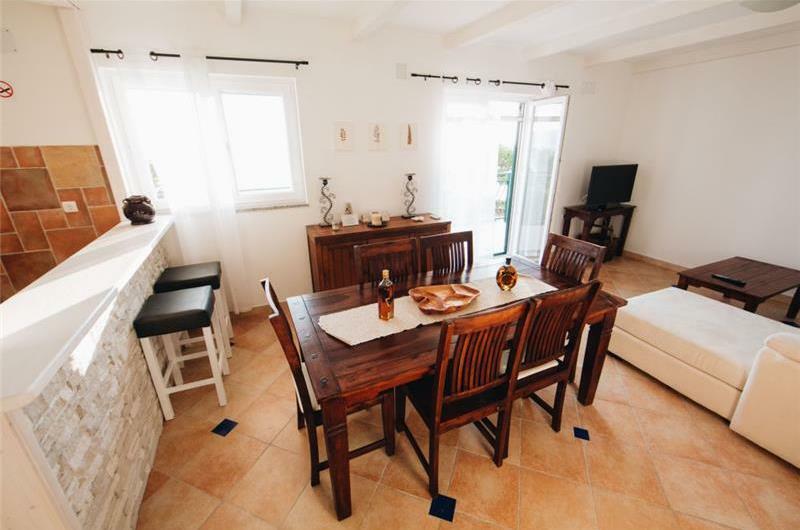 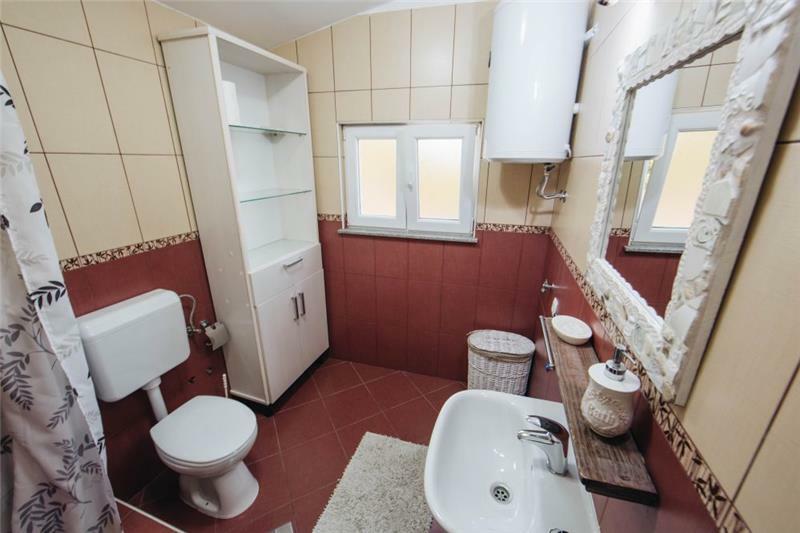 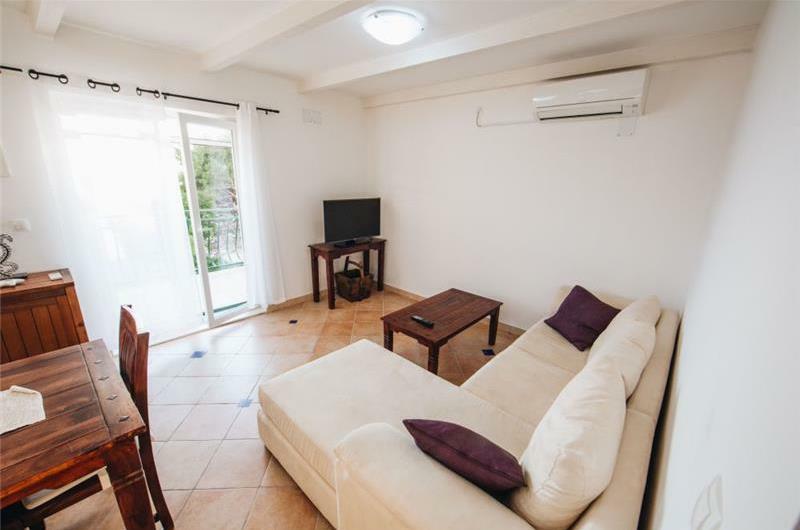 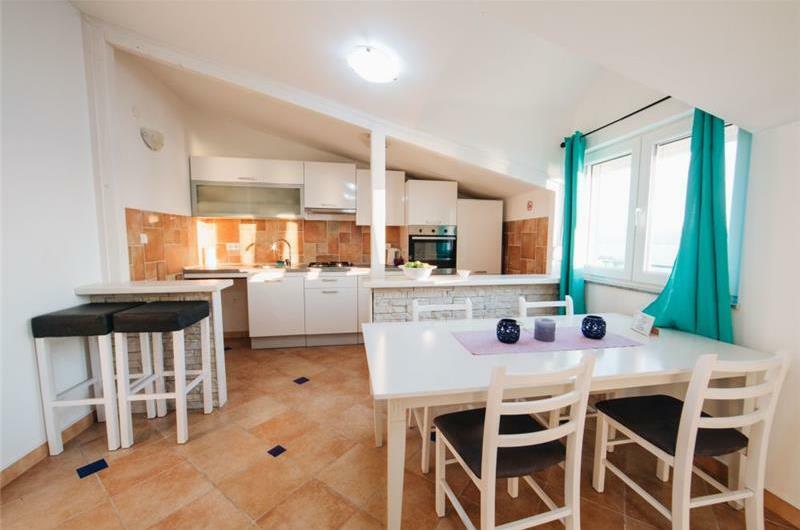 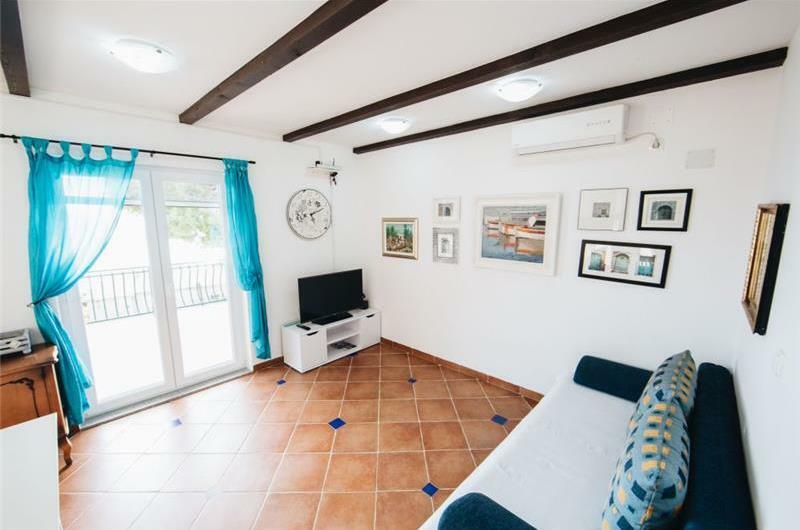 The property is divided into 3 apartments let together and makes for a wonderful choice for a family or group of friends who wish to holiday together, yet have their own private space to enjoy the views. The villa is set over 3 floors and is divided into 3 apartments, each connected via internal stairs. 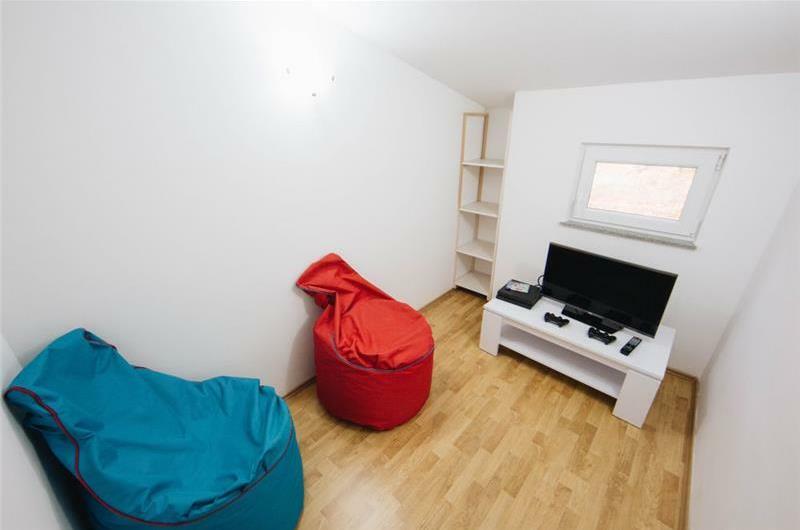 The ground floor apartment has an open-plan living-kitchen-dining room, separate shower room and one double bedroom. From the living-kitchen-dining room, guests have access to a sea view terrace with coffee table and chairs, which leads to the pool terrace. 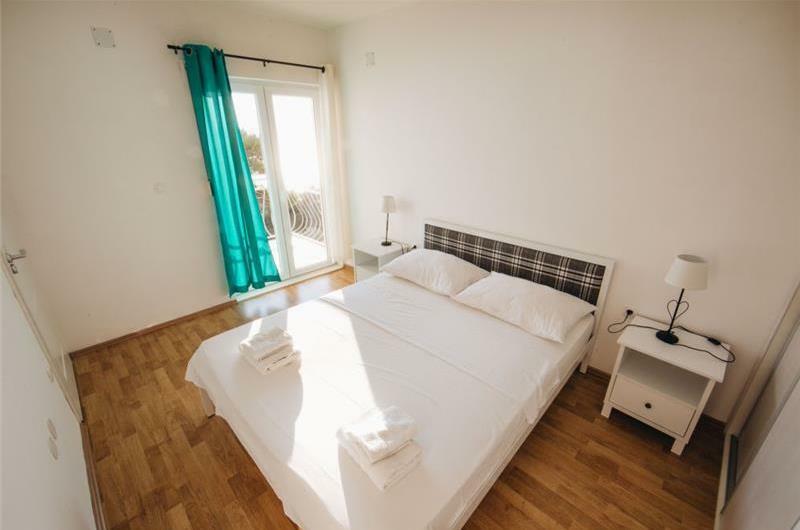 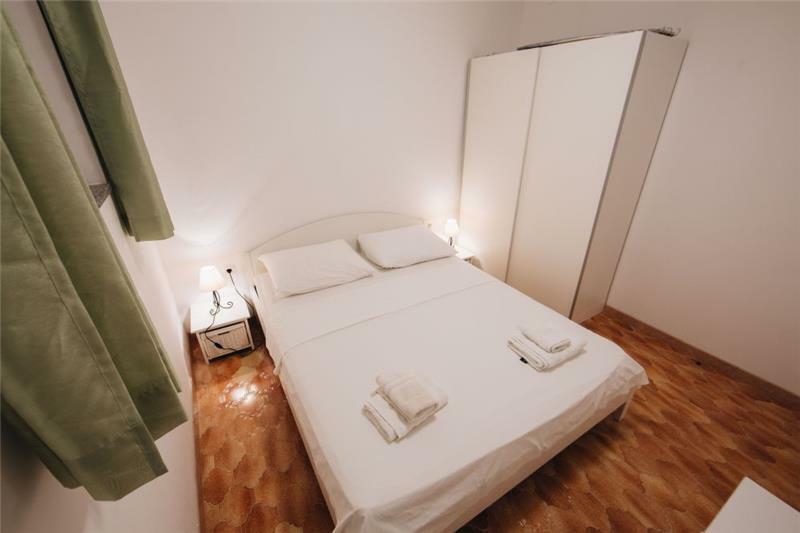 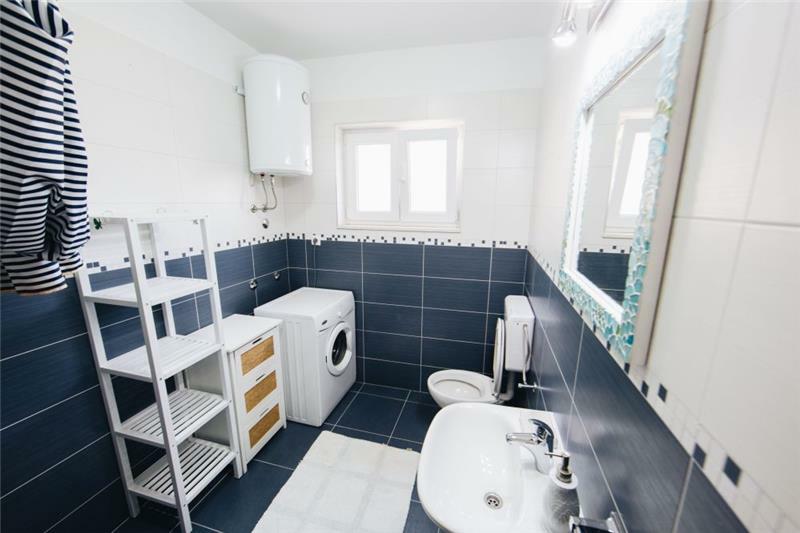 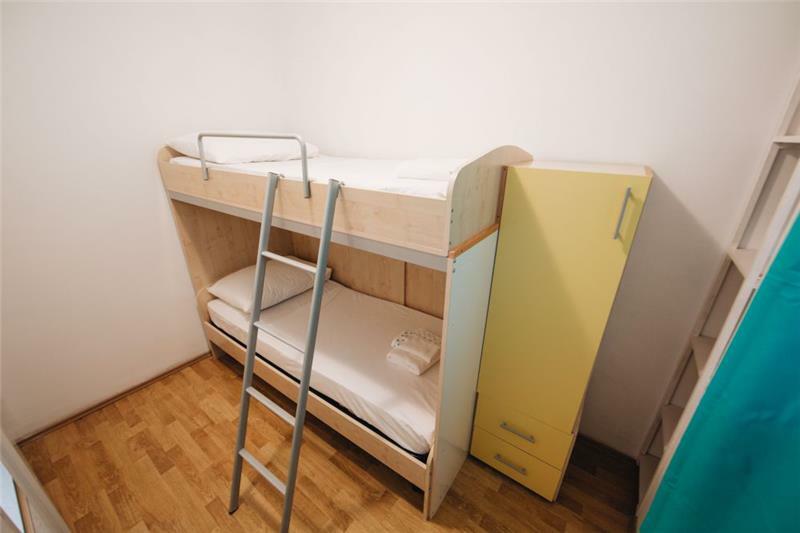 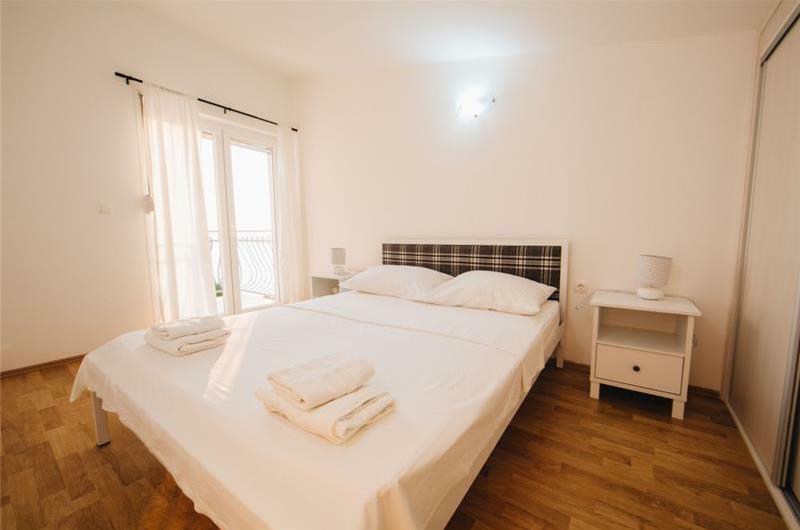 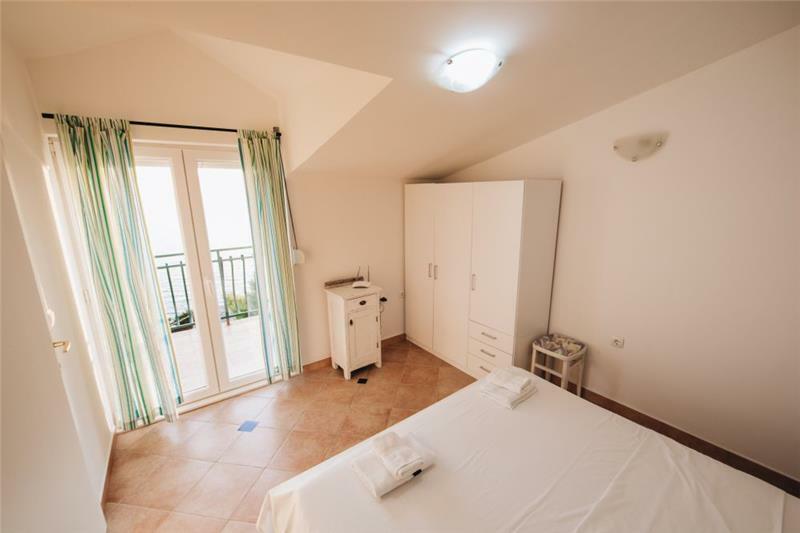 The first floor apartment has an open-plan living-kitchen-dining room with access to a sea view balcony with coffee table and chairs, one double bedroom, one bunk bedroom and one shower room. 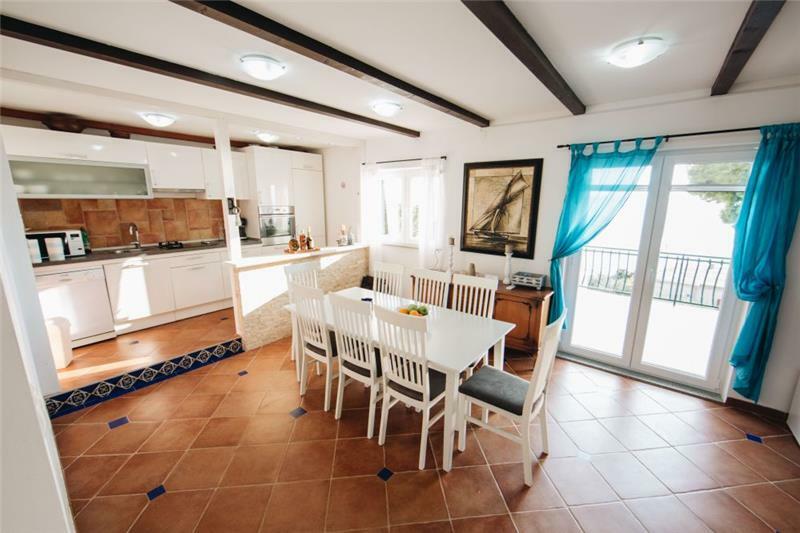 The second floor (eaves) contains a kitchen-dining room, one shower room and two further double bedrooms, one of which boasts access to the top floor sea view balcony. 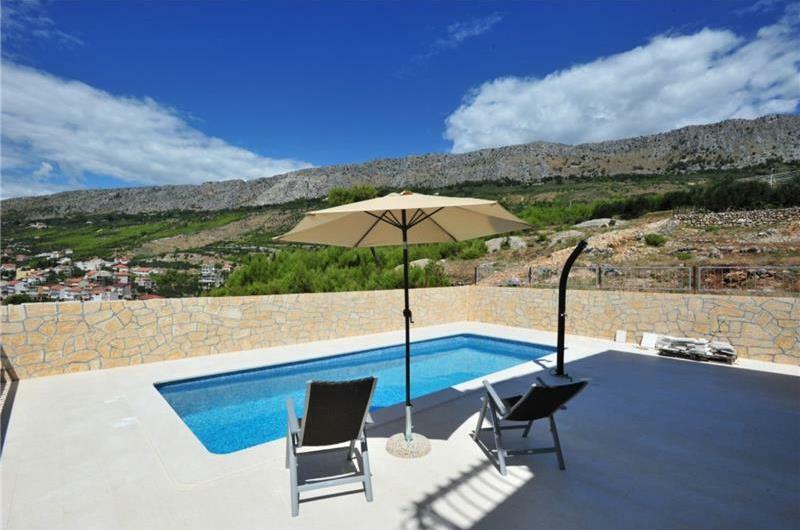 This villa is ideal for those who do not wish to use a hire car for the duration of their stay. 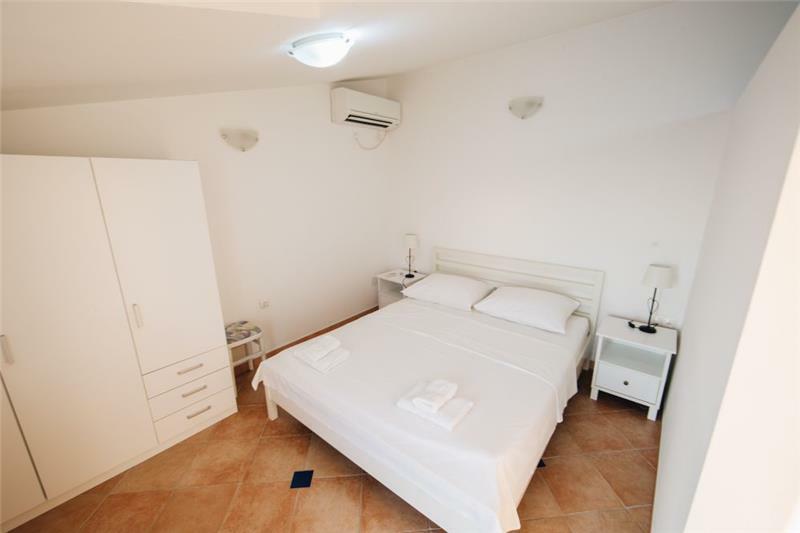 The nearest restaurant is just a few hundred metres from the villa, and the beach is only 400m away, ideal for children. 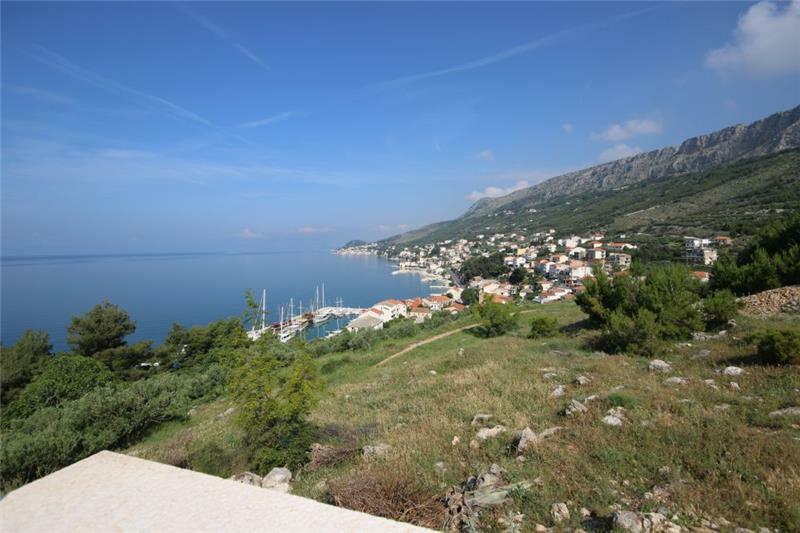 Omis is close by and can be reached by bus for those wanting to explore the Riviera. From Omis, active guests can enjoy river rafting and canyoning down the Cetina gorge, or day excursions by boat out to the surrounding islands. 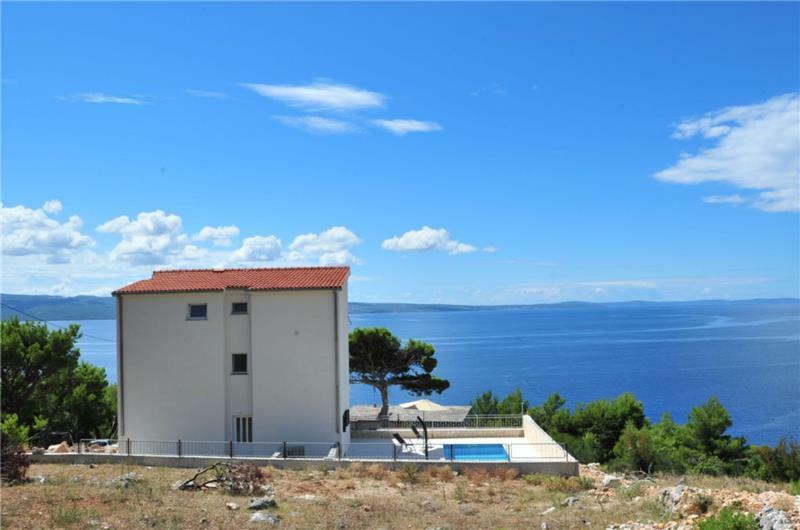 06 July - 31 Aug.
14 Sept. - 13 Oct.